It is important to check the various problems with wood stoves and to help solve the problems. Since having effective measures in place would help with reducing pollution in the atmosphere. We all need to all contribute to improving the air quality and the problems associated with wood stoves must not be taken lightly. It is a necessary requirement for wood burning stoves to have a sufficient supply of air to work. So before installing a wood burning stove, it is a good idea to get an expert opinion if the property is adequately suited to have a wood stove installed. As with the right amount of draw, there is a risk of the smoke may not be able to be contained and risk the chance of a breakout of a fire within the property. It is important not to underestimate any issues of malfunction of a wood stove as it could prove to be dangerous for the property. There is not the issue of lack of air for the proper draw which is needed to control the wood burning stoves but also other issues which can affect the stoves which include discolouration. It would be useful to observe the surface of the stove as a porcelain surface would be affected in a different way as to a stainless steel surface. In considering the details of the stove the issue of how must it cost may play a part in deciding the right stove for your property. However, the issue of selecting a stove must not just be based on cost and it is a good idea to take into consideration the other features of the stove to select the right stove for your property. The issue is any form of the wood burning stove would pose real challenges for the environment. The agenda of most governments is to help reduce the realise of carbon fuels which are termed as toxic in the atmosphere. The right approach to take in order to help the reduction in pollution in the air is to use logs and wood pellets which care termed to be organic and environmentally friendly. The use of wood stoves is considered to be a factor in the release of the thick cloud of smog which can have a detrimental effect on human health and be an underline cause for the increase in cancer, heart problems, stroke and other serious health issues. It is important not to underestimate the problem of chimney obstruction as it can be caused by the accumulation of various items and result in the excess build-up of creosote. The restriction in the release of debris from the chimney could cause a problem with the drafty wood stove. Some of the ways to help reduce the problems wooden burning stoves are to make sure there is the flow of air in the property and an air vent would be a good idea to help with the stove as it needs air to burn the wood. Furthermore, a simple way of helping to make sure the wood stove is effectively functioning is to clean the stove and it can help with the draw. It is worth remembering there are various health hazards in using wood stoves as wood is considered to be a toxic waste. It is harmful as it can accumulate in the chimney as creosote and is the result of the wood stove not working effectively. It needs to be taken into consideration the use of not well-serviced wood stoves can release harmful particles which can contribute to breathing problems and lung diseases. 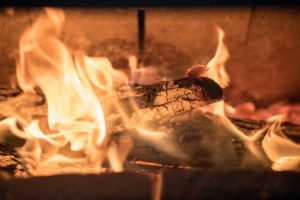 There are certain effective measures which can be put in place to help reduce the chances of risks associated with wood stoves. It is foremost important to make sure all wood stoves are fitted properly and it is important to seek advice as to the length of periods by which they need to be serviced. 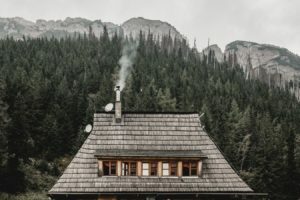 It is important to ensure there is sufficient flow of air within the property as it would help to sully the stove with enough oxygen for it to function effectively. There is a need not to use old wood but to all ways use clean and dry wood for the stove. Regular clean the stove and remove any ashes. While you are using your stove make sure the door of the stove is kept shut as to stop from fumes being released in the property. Jordan Brothers offer free advice on issues associated with wood stoves. Call the following number for friendly advice.